These guys were just too damn cute. Everyone knows that Friends was one of the best sitcoms in history. And despite the show ending in 2004, we're still managing to get nuggets of backstage information even now, thanks to the cast giving nostalgic interviews. 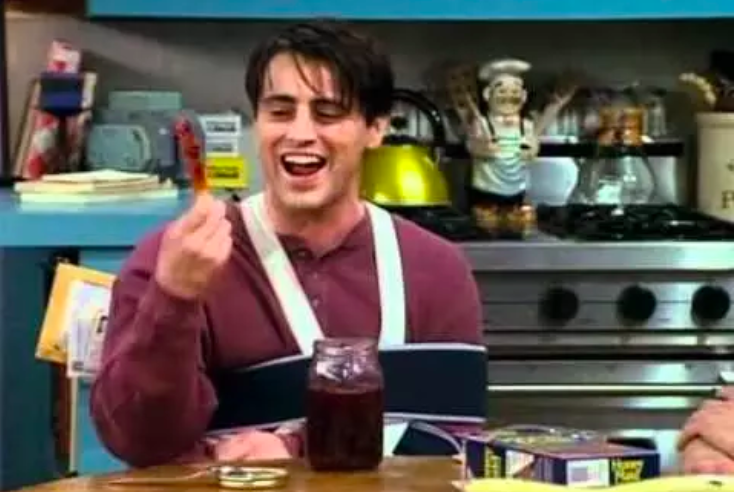 Case in point: When Matt LeBlanc revealed last year that the reason for Joey wearing a sling for a few episodes in season three was because he dislocated his shoulder in the scene where he leaped into a chair during "The One Where No One's Ready." Well, now Lisa Kudrow — who of course played Phoebe — has divulged another backstage secret, and this one is super cute. Speaking to People, Lisa revealed the adorable words the cast used to share before going out to film each show. However, Lisa went on to reveal that during her pregnancy — which was of course written into the show during season four when Phoebe acted as surrogate for brother's triplets — the cast made an amendment to their pre-show ritual. She said: "When I was pregnant, they would say: 'Have a great show. Love you, love you, — love you, little Julian!' because we knew it was a boy and that was his name. It was so sweet, they included my little foetus in the huddle." Those guys were just too damn cute.